What’s Going On In Cuba? Visas! Travel warnings! Sonic attacks! Hurricanes! Lots of buzz words are flying around about Cuba — the Caribbean’s largest island, only 90 miles from Florida. On June 16, 2016, Trump announced a reversal of some key elements of Obama’s December 2014 opening of relations known as The Cuban Thaw. When I was in Cuba last fall, most of the locals I met were ready to move beyond the revolution and welcomed the opening. While they appreciate the benefits and goals of the revolution and communist system, some poor harvests, bad planning and collapse of USSR aid hit the island hard, and Cubans have ever increasing access to media. Last June, Trump said that the details of his new policy would be delivered within 90 days, which came and went with nothing. Apparently, the department that works out these policies is understaffed and stalled due to many changing policies. In a Havana hotel, US and Canadian diplomats experienced what is being called sonic attacks that made them dreadfully ill. No one knows or has announced who was behind them. This past Friday, 9/29, President Trump withdrew non-essential diplomats and their families from Cuba, leaving the embassy low on staff, slowing processing Cuban applications for a U.S. visa. Not the other way around. A U.S. travel warning was also issued yesterday. However, as this NYT article makes clear, it is safe to travel around Cuba. Irma hit the northern part of Cuba including some cayos (keys), and Varadero, the stretch of beach with many resorts. The area is being quickly rebuilt as tourism is very important to Cuba and people from all over the world come here to relax and explore. Many advocate that it helps Cuba to have US visitors, particularly after Irma. This small group trip is legal and approved by the US Dept. of Treasury. Now is the time to visit as the longer term future is uncertain. 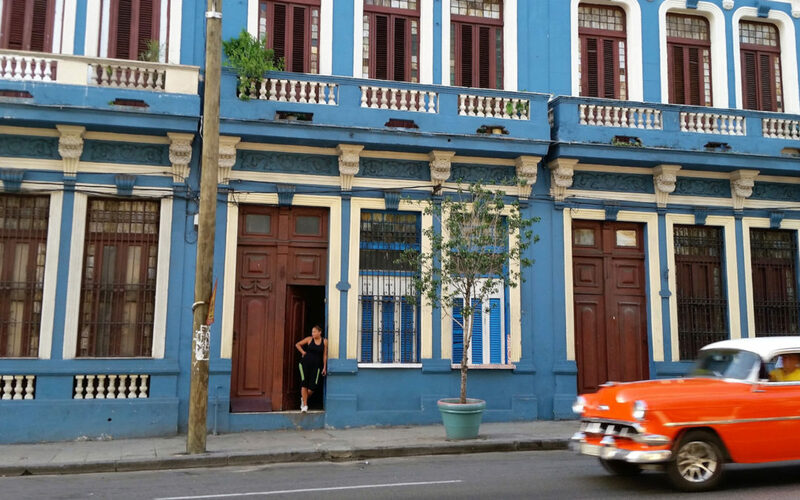 International Expeditions IE is our on-the-ground partner and has been in Cuba for over 20 years. Planning and leading trips for The Nature Conservancy around the world, IE shares a sense of responsible tourism and conservation. We have carefully curated this trip with IE, who will be taking good care of us while in Cuba! Antonio Núñez Jiménez Foundation One of the oldest Cuban foundations, the Núñez Foundation is our primary host in Cuba. One evening in Havana will be a dinner and exchange with them. At Cuba’s southwest tip, in Maria la Gorda, lies NOAA sister Marine Sanctuary Guanahacabibes (you will learn to pronounce this, I promise). The Sanctuary will host us for an exploration of the MPA. We’ll have the opportunity to meet the staff, dive, snorkel and take part in our volunteer trash pick-up. Our trip begins in Cienfuegos and Trinidad, on the central south coast – the other side of the island from where Irma hit. Cuba for the most part, and definitely the tourism areas, is repaired from this past hurricane season. Spring is a great time of year to visit Cuba — after hurricane season and early-year winter storms. The weather has settled and the water is clearer, calmer. After holiday crowds. 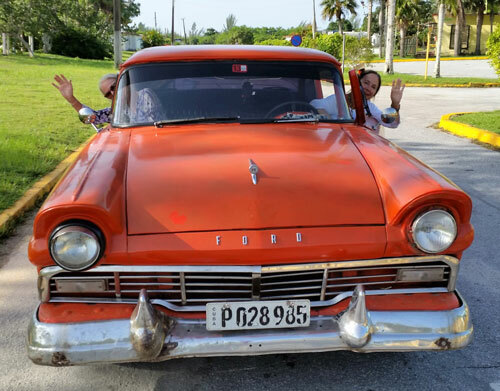 This trip combines visits to the colonial towns of Cienfuegos and Trinidad (known for their charm and music scene) and the capital Havana with nature exploration. We’ll travel through Cuba’s highlands, bird watch in wetlands, explore the Southern coast’s reefs and travel north through beautiful green countryside, loaf-like limestone mountains called mogotes and tobacco farms. See Cuba like few get to on this is a VERY Special Trip! We’ll enjoy special behind-the-scenes access and begin peeling away the onion that is Cuba! And we will travel with some great folks, including our local guides and partners.